Bring your Tigers basketball and football questions, and talk to Mizzou beat writer Dave Matter in a live chat starting at 11 a.m.Friday. Happy Friday, Mizzou chatters. I'm here for the next two hours to discuss all things Tigers. Bring it on. Most reports have Blake Hinson linked to other programs, mostly Seton Hall and Ole Miss. He had a visit scheduled for Illinois but that's been cancelled. Not much buzz with Mizzou right now. Starting 5 in mens bball (sans JP)? Who is our breakout receiver/TE in football this year? Predictions for TDs and yards for Lock this year? Thanks again for the awesome chats! Geist, Watson, Santos, Puryear, Tilmon. Breakout receiver? I'm intrigued to see what Alex Ofodile can add. Hall is a 1,000-yard candidate. Johnson could catch 60 balls. Brown could earn the other outside starting job. Hall, Johnson and Okwuegbunam are going to catch a lot of balls. Who else? Maybe one of the incoming freshmen. Jalen Knox and Kam Scott could be instant impact guys. I don't expect Lock to match last year's numbers, mostly because the offense should be on the field for fewer possessions and the running game should be more productive. Let's say 35 touchdowns, 3,600 yards. Will Brad Davis make big improvements with Offens Line? I'm not sure it has to make major improvements. It was a pretty solid line last year and the year before. Linemen are going to have to hold their blocks longer in pass protection because the ball won't come out as fast. Davis doesn't have much of a track record, but he came highly recommended from coaches that Odom trusts. Excited for Season 2 of Westworld? I didn't watch the first season live and only about halfway through. It's good, not great, but worth finishing at some point. Hi Dave, Can you out a bug in Coach Odom's ear that he losing top notch football recruits in St Louis area and the metro east area. Some of the good recruits in the metro east area would like to go to Mizzou but theey are not getting any recruiters there. This inside info. Coach Odom would rather get the left over pickings in Texas, Florida, Georgia, itc... Good Luck with that!!! I've heard from coaches that Mizzou's staff has been more visible and more engaged in the St. Louis area this year compared to the last few. Sometimes no matter what this staff does in the area it's never enough. Curious about Ronnell Perkins moving to LB. Do you foresee a smooth transition or will his size be a detriment? He's not an outside linebacker per se. He's playing the nickel position in the nickel defense, meaning he replaces the strongside linebacker when MU gets out of its base 4-3 defense. He's got good enough size to play that role. Most teams at the college and pro level play their nickel defense more than their base, so he has a chance to be on the field a lot on third downs and against spread formations. He can tackle. He can blitz. Can he cover slot receivers and tight ends? That's the challenge for most guys at that position. Which of the STL PD sports writers is the best athlete? Who wins a game of Horse? Good question. It depends on the sport. Hochman has some legendary basketball stories from his days at Clayton High. BenFred dominated the gridiron in Sedalia. My wrestling letter from St. Louis U. High has collected dust, but I can still manage a one-legged takedown if I've properly stretched. Who wins in Horse? I'll go with Tom Timmermann. And I have no idea why, but I bet he's a crafty shotmaker. I don't have any intel on names Martin would consider, but he's well connected in the industry and could surely find a qualified candidate. I don't expect Porter Sr. back if Jontay stays in the draft, and that would clear up a lot of money to spend on an assistant ($375K). It would be a huge coup to hire Jamall Walker off Illinois' staff. Not sure Martin can pull that off, but it would be a great hire. Hi Dave. I really enjoyed the article about Mizzou pitcher Michael Plassmeyer a couple of days ago by the way. What do you think of Mizzou moving Bryce Montes de Oca to the bullpen for this weekend? He was scratched last weekend evidently due to a stiff neck. I wonder if this is a temporary thing or if they might use Tyler LaPlante on weekends since he has pitched really well. Also, any idea on the timetable for Kameron Misner to return? Mizzou really misses his bat. Misner was expected to return this weekend but he didn't play last night, so we'll see if he's back tonight or tomorrow. I'm not sure about the plan for Montes de Oca. If LaPlante pitches well tonight that gives Bieser some options for next week if Bryce's neck improves. He's been erratic of late, still walking too many hitters. Dave, I see this season as pivotal for Odom like 2006 was for Pinkel. I am optimistic for these reasons: the offense is solid and I don't believe Dooley as OC will over complicate things, the defense is more stable and likely more talented than last year, and without the Cross related problems for early last season, the defense should at least start the season better, and a year further into the system and SEC experience should help too. I think a 8-4 regular season is not only attainable but should be the minimum expectation. That would put the program on solid ground and boost recruiting. Agreed. I think the stability factor on defense is important. There was obvious tension between Odom and Cross going into last season. He's much closer to Walters, whom Odom believes is head coach material. Bringing in a respected veteran coach like Hargreaves was a good move. He's a positive guy, lots of personalty. I'm somewhere between 7-5 and 8-4 for my prediction. So many unknowns with the new staffs in Knoxville, Gainesville and Fayetteville - all the SEC villes. There's no excuse for the offense to take a step back. Any coach in the league would take MU's personnel. Lock doensn't have to put up 44 TDs to have a great season, and if both backs stay healthy this should be a balanced, potent attack. Cuonzo Martin talked about going more uptempo and playing a more exciting brand of ball than what his teams looked like at Cal, Tenn, and Mo St. I know injuries disrupted the pace this year. But looking at what's coming in, do you foresee a closer resemblance to the Hoiberg style of offense they promised with Mann hired as an assistant? I wouldn't confuse the "Hoiberg offense" with going uptempo. The idea of using NBA-style sets and actions was still part of MU's offense at times. Martin talked about going uptempo to take advantage of the talented guards and wing players they had in the rotation back in the fall. Obviously things changed when Porter got hurt and when Harris left the team. It's still too early to have a great feel for this team's style of play next year - because the roster isn't complete. Martin talked yesterday about Villanova and the four-guard trend - and I asked if that's something he's open to trying. He said yes, but he still values a strong post game, which MU should have as long as Tilmon's on the floor and he continues to develop. Dave, I watched a little bit of the scrimmage last Saturday. I thought Tyler Powell looked pretty good. You think he is the number 2 behind Drew? Also I read somewhere where we might lose another player off the basketball roster. Not sure who that would be. Also, heard that Mitchell Smith is looking pretty good. What do you think? I was impressed with how Powell carried himself and the zip he put on the ball. He wasn't working the team's top receivers but he seemed to make the most of his opportunity. I think he deserves a chance to push for the No. 2 job. As I wrote yesterday, Martin could be open to discussing the medical retirement option for VanLeer - if his knee injury is too severe to keep him off the floor this fall. But Martin said that option hasn't been considered yet. Stay tuned. He's high on Smith. He'll be part of the frontcourt rotation next season. I'll have more on Smith in this week's Five For Friday later today. 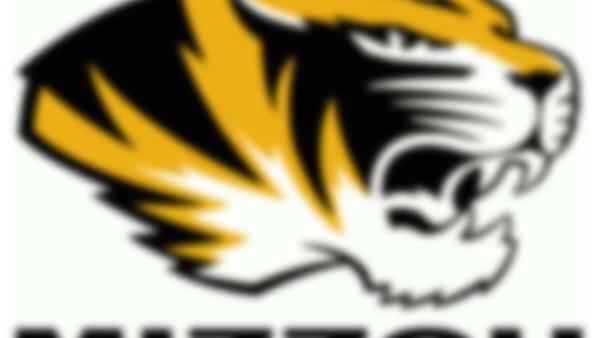 Eye on the Tigers podcast: Can Mizzou land Courtney Ramey? stltoday.com: Episode 27 • The question remains unanswered. Which college will Courtney Ramey pick? Webster Groves' star point guard will play somewhere next season, but he has not yet announced where. Do I recall that there is a third Porter brother coming along in high school. What do you know about him? Age, year in school, BB potential, whatever? Is he worth keeping Michael Sr. on the staff for a few more years? Your thoughts? Coban is a sophomore at Tolton HS. He's not yet considered a high-major conference recruit. He's around 6-3. Michael was a national recruit at the same age and Jontay was already discussed as a high-major prospect. If you think you can hire an assistant who brings more value to the staff you don't keep Senior on board just to sign a player in the 2020 class who might not even be a high-major prospect. What are coaches saying about Lindsey Scott? I could care less about the spring game, but here are my concerns. He couldn't crack the LSU lineup at QB. Then when I looked at his JUCO numbers at an elite school and it seemed like his numbers were skewed against bad teams. I wonder about his accuracy and not sure about his long-term impact. What do you think? People who have coached Scott rave about him, but it's not like Power 5 programs were in a rush to sign him. I wouldn't count him out just because he didn't make it at LSU. He was a true freshman and the staff had recruited other QBs who were older. Dooley had good things to say about him during the spring but said he had a lot to learn. In the spring game it looked like Scott was set on throwing deep every time he dropped back and probably could have settled for some safer, shorter throws. Wasn't there an article suggesting that Mizzou football currently has too many scholarship players? I know you won't comment on specific names, but what position group do you see as being too cluttered. Also, is it safe to say that some of those players will be asked to leave rather than players voluntarily leaving the program? I don't think there's necessarily one position that's cluttered but a player here or there who will likely move on this offseason. These decisions are usually mutual. The player realizes he's not going to see the field and it's not worth all the work with little payoff. Have you gotten any indication whether Kaleb Prewett will return? Also if Justin Smith the 6’8 WR can work into the rotation that would give opposing defenses someone to not lose track of each time he’s on the field. I don't expect Prewett back, but as far as I know, nothing finalized yet. Smith didn't get much work with the second unit in a receiver corps that's woefully thin right now. It's not a good sign when newcomers are passing you for reps. He made a couple big plays in the spring game, but I'm not sure we'll see him get significant snaps. ETA on Ramey and Jontay deciding? Jontay will go through the NBA combine before he makes a decision, assuming he's invited to the combine. The combine ends May 20 and he has another 10 days to make his decision if he wants to retain his eligibility. So, he's got another month to make his decision - unless he decides to sign with an agent before then. As for Ramey, if he wants to sign a letter of intent, he has until May 16. Recruits aren't obligated to sign an NLI, but most do. Mizzou is still in the mix but there's competition. I saw that Dave Steckel had several Springfield media personalities calling plays for the second half of the Missouri State spring football game last night. You think Barry Odom should try something like that? And what kind of play caller would you be if you were handed the keys to the Mizzou offense? I think Odom would benefit from spicing up the spring game, an event he clearly detests having to put on each spring. Larry Smith used to let the media choose the teams, so it was a fairly evenly matched game pitting a Gold team of offensive and defensive players playing a Black team of offensive and defensive players. That would be more compelling than the offense playing the defense in a setup that only allows the defense to score points with a defensive TD. Odom doesn't put any value in the spring game. He literally said he wanted it to be boring and likened it to paint drying. He got his wish. I commend Stec for trying something different to generate some excitement around a glorified scrimmage. I'd be an excellent play-caller. Sportswriters have all the answers, always. Dave, what is the feedback you are hearing from SEC officials and journalists in other SEC cities (Birmingham, Atlanta, Nashville, etc) on St Louis hosting the SEC Men's Basketball Championship? Have the league and newspaper reviews been generally positive? Is St. Louis well regarded and being considered to hosting other SEC championships? Honestly, I haven't heard much from anyone. I haven't really been around any of the other SEC writers since the tournament in St. Louis. The tourney is headed back to Nashville for the foreseeable future other than one stop in Tampa. It pains me to say this about my hometown, but all it takes is a week in Nashville to cover the NCAA tourney to remind you how dismal downtown St. Louis is compared to a vibrant city like Nashville.